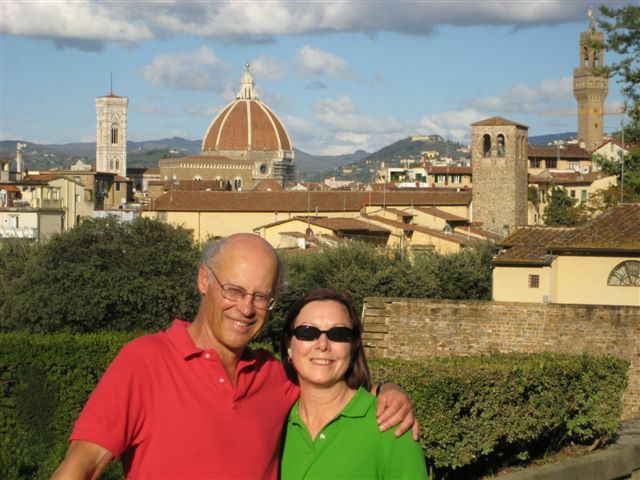 Years ago Bob gave me an ebelskiver pan. 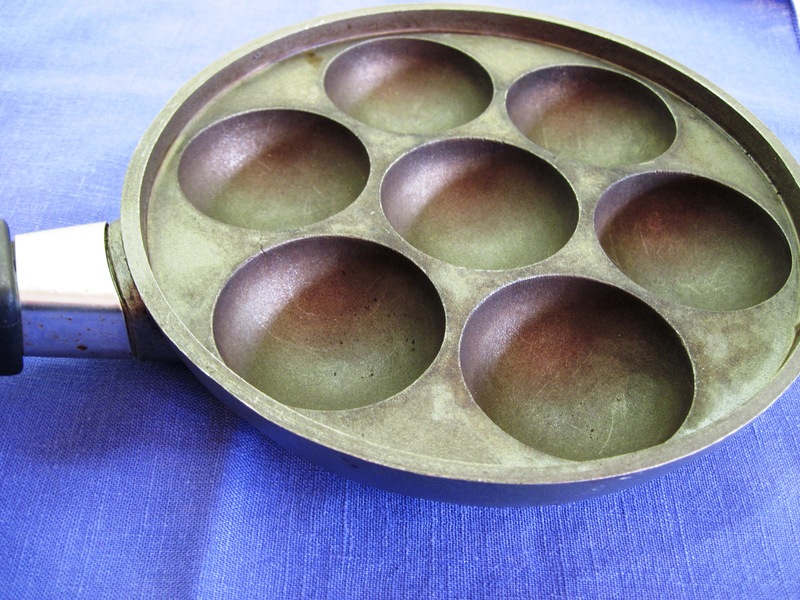 It’s a special pan used to make Danish ebelskivers. I love having it, even though I only use it a few times a year. Ebelskivers are just so much fun to eat. They’re little-buttermilk-pancake-balls-of-goodness. Ebelskivers demand a leisurely breakfast. The pan makes 7 ebelskivers at a time. Everyone gathers at the table and each person has to wait for his or her turn to get a plate of hot ebelskivers. Hopefully the table is in the kitchen so the cook can join in the conversation. I like them plain with maple syrup, but they are often filled with fruit, like berries or applesauce. Usually I use buttermilk, but I have used sour cream when we’re on a boat. 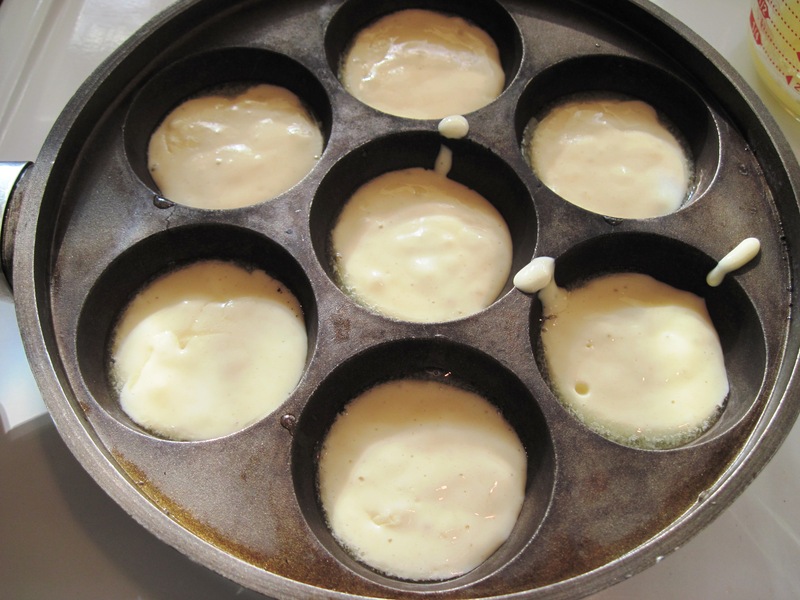 The recipe below makes about 7 pans, 49 ebelskivers, serving three or four. For just Bob and me, I cut the recipe in half. It also multiplies easily if you’re feeding a crowd. 1. 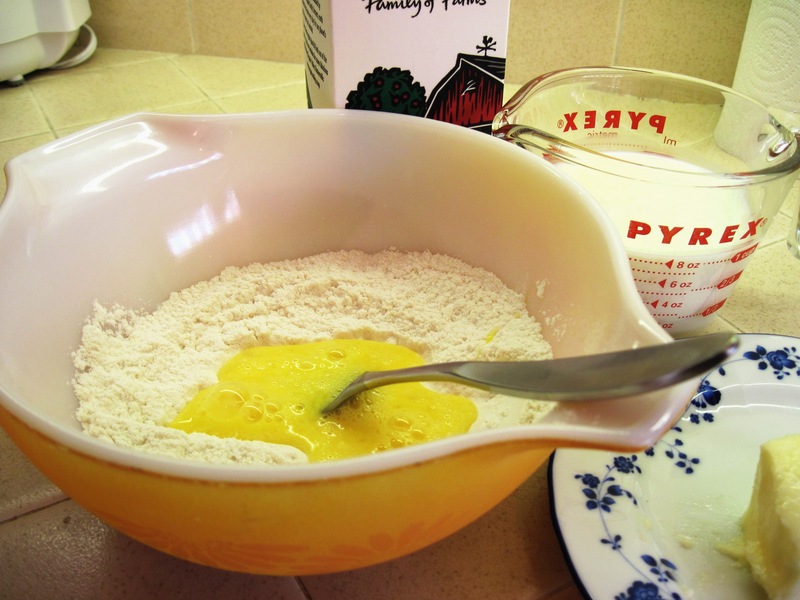 Stir the dry ingredients together in a bowl. 2. Add the eggs and buttermilk and stir well until smooth. 4. Put just a bit of melted butter in each hole. 5. 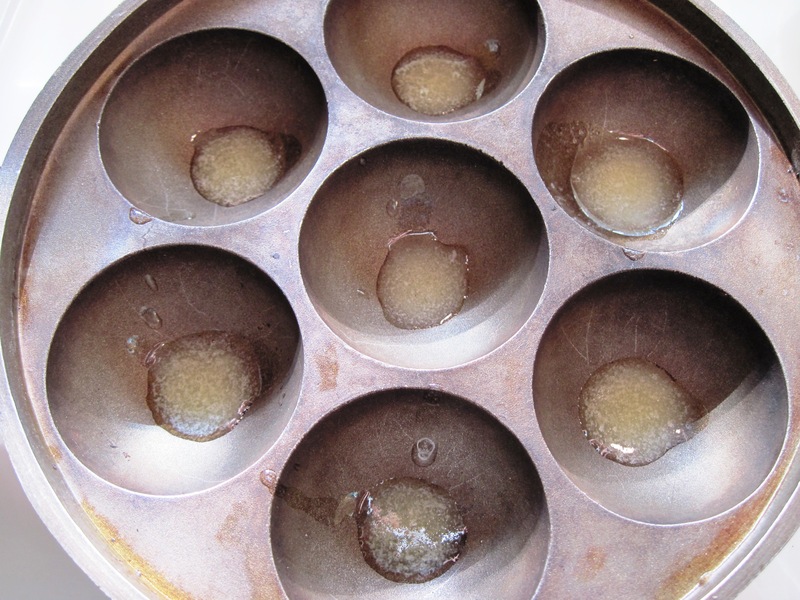 Put a spoonful of batter in each hole so they are a little more than half full. 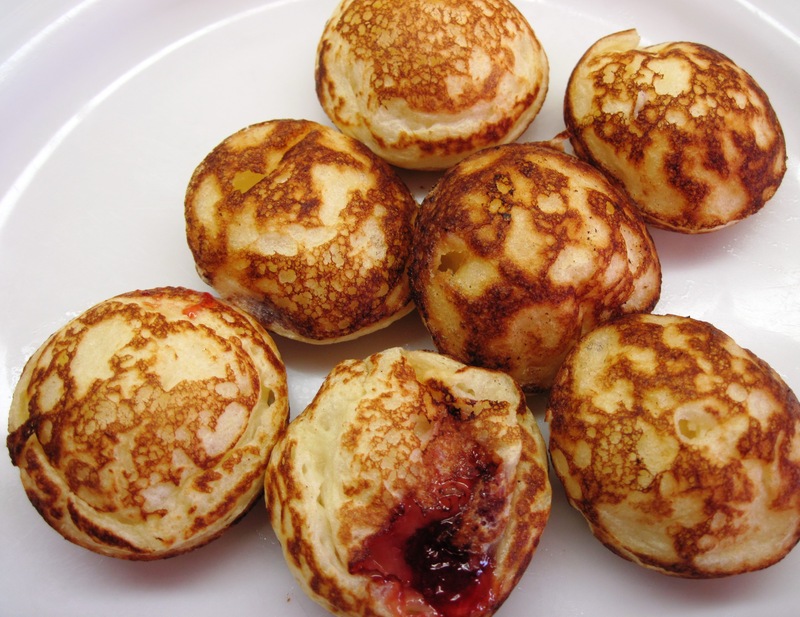 If you’re going to fill the ebelskivers with berries or applesauce, put a berry (raspberries are good) or about ½ teaspoon of chunky applesauce on the batter and then top with another small spoonful of batter. 6. 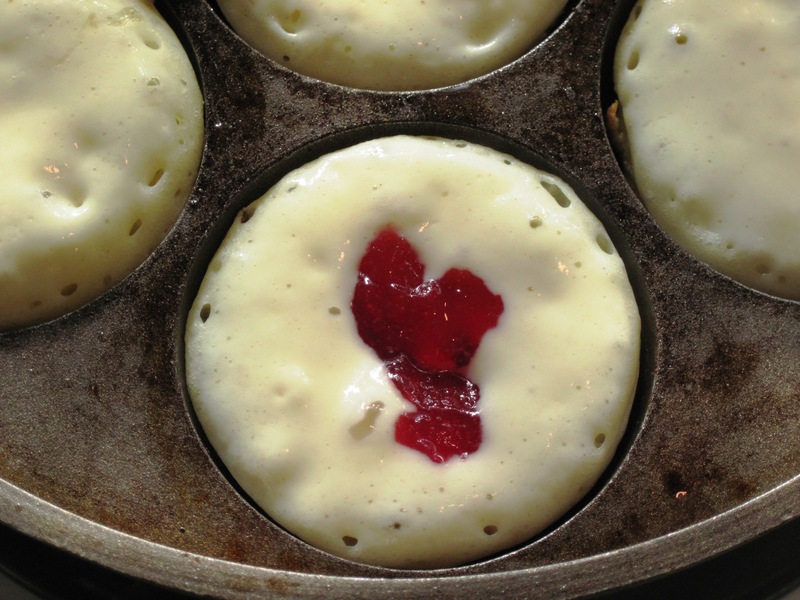 When the edges of the ebelskivers are dry and the surface is a bit bubbly (very much like regular pancakes), use a fork or a skewer to grab the edges of the ebelskivers, lifting them up and turning them over. 7. Let them cook for a minute or so more until they are nicely browned on all sides. 8. Serve with powdered sugar, jam, honey, or maple syrup.